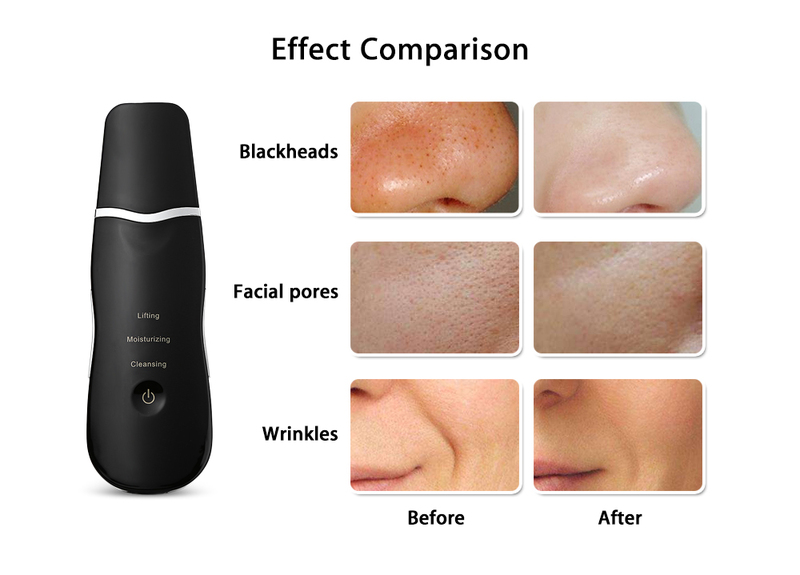 Facial skin ultrasonic scrubber works for gently peel horniness and skin rejuvenation. It removes and eliminates dead cell effectively to avoid the cuticle stacking. 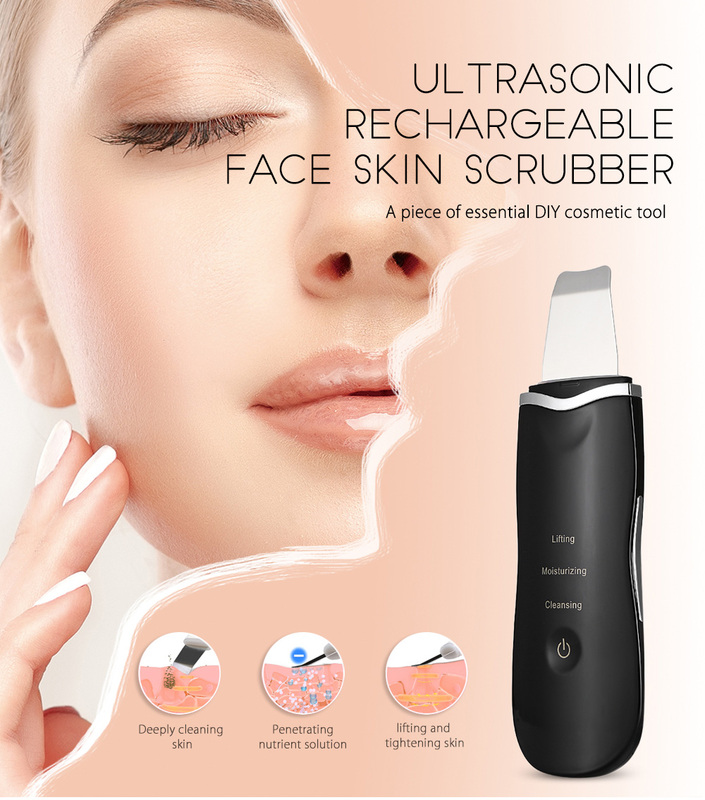 When using for several days, this ultrasonic facial cleaner can relieve melanin and dirt, firm wrinkles and whiten skin, helping restore the elasticity of skin and make your skin firm, smooth and delicate. 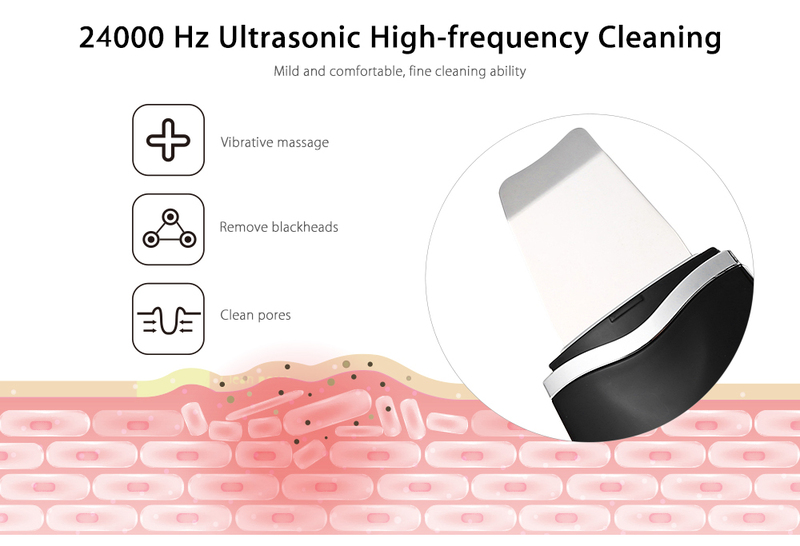 - Multiple functions: this scrubber works through ultrasonic vibration, which can go deep into the pores, remove dirt, aging cells, and corneum. 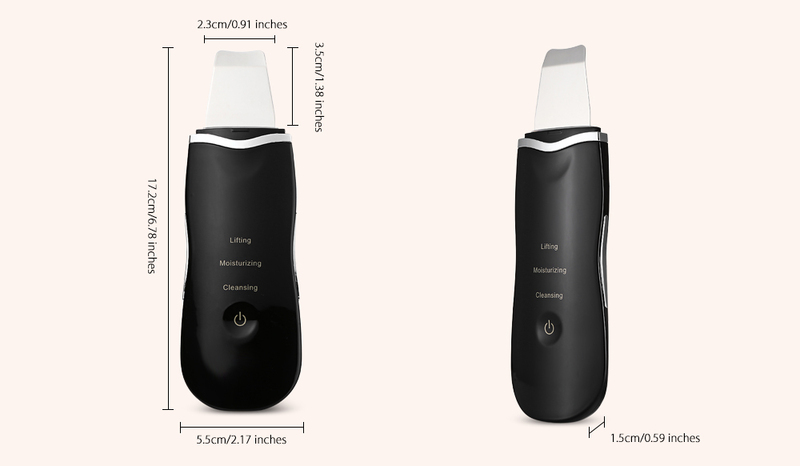 It can effectively remove acne, blackhead, eliminate wrinkles and cutis laxa, accelerate blood circulation, promote metabolism, decompose melanin, and dispel spot. - Three working modes: one press indicates cleansing mode, the double press goes with a moisturizing mode, and triple press indicates lifting mode. - Mild working process: no pain or irritation, non-risk purchase, high-performance personal customer service. - Ultrasonic vibration 24000Hz per second. Anion import makes it easier to wipe out dirt from your skin and penetrate nutrient solution. 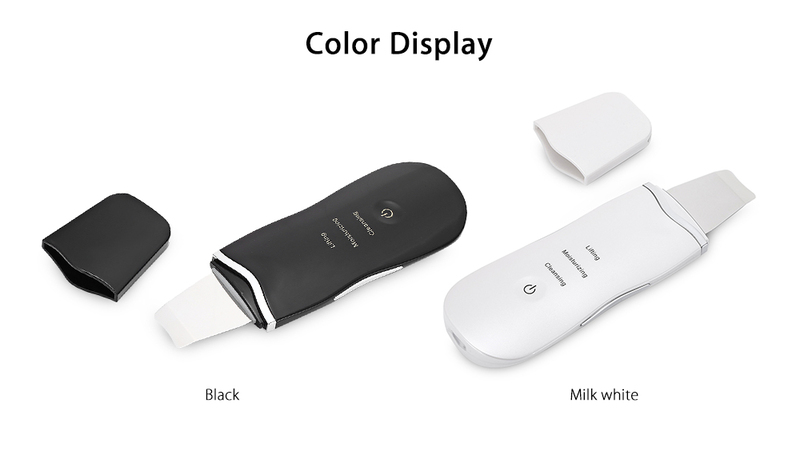 - Rechargeable: when using for the first time, please charge it at least for 5 hours. Then, only 3 hours are needed for the following charging. It can keep using for 2 hours after fully charged. 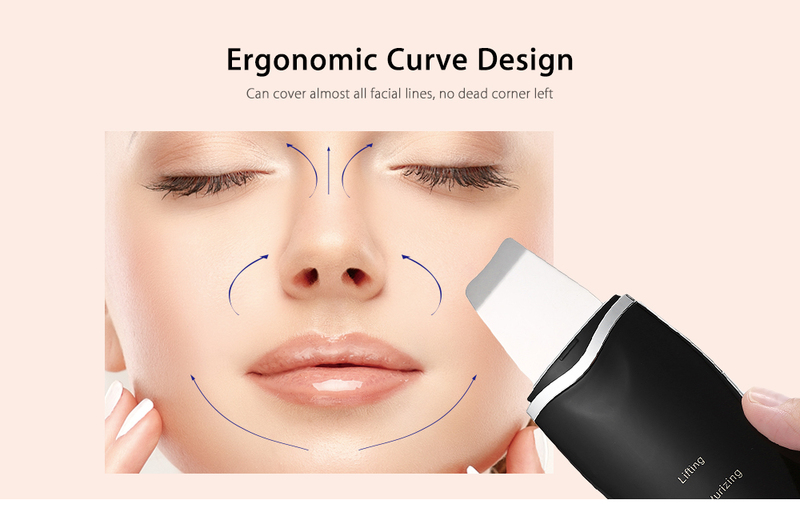 Keep using 2 - 3 times one week makes you become more beautiful. 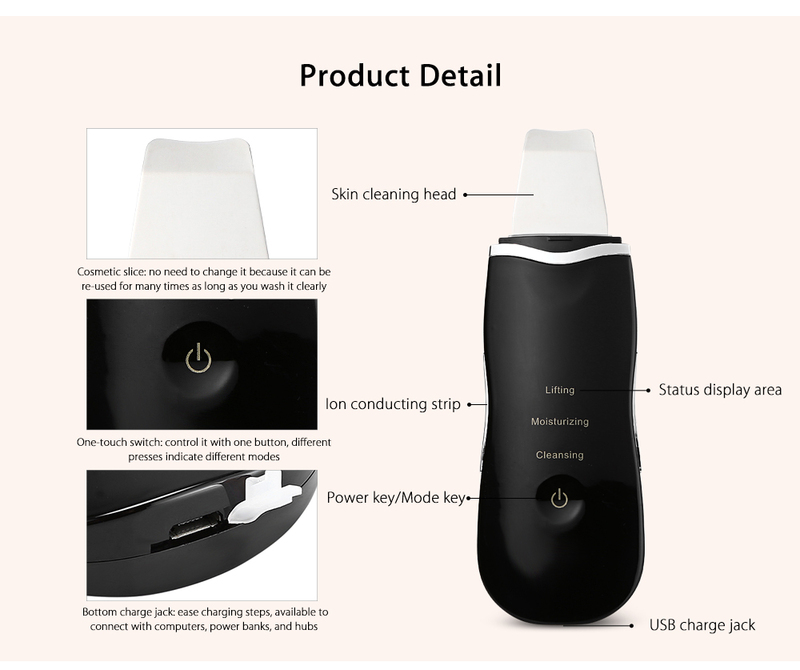 - Notes: it works better together with skin care products such as deep cleansing oil, cleaning foam, toner, massage cream, essential oil, essence cream.